Ever thought about picking your cottage classics from the Web? Now Amazon is offering a whole new cottage friendly furniture line! 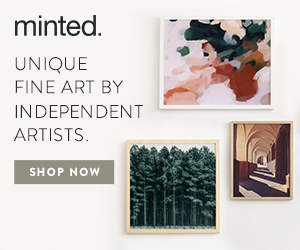 Thanks to the ease of online shopping, you can now order your own affordable cottage classics from a just-released new line on Amazon called Ravenna Home. 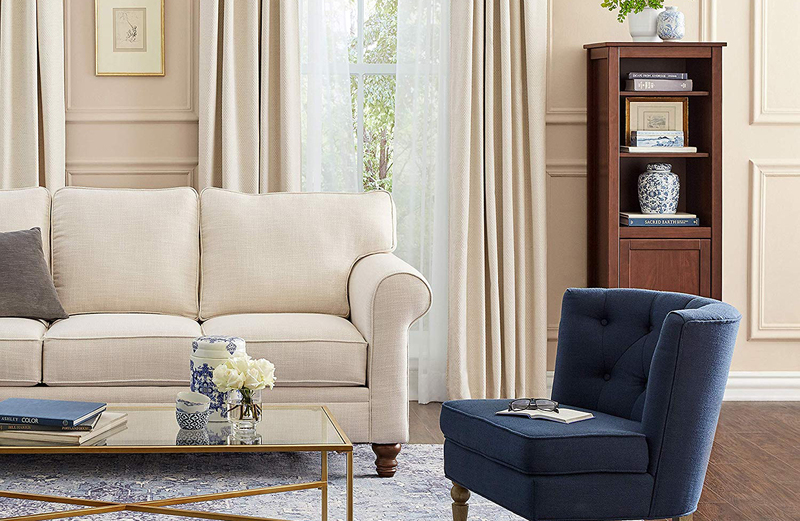 This batch of furniture for Amazon’s online storefront is both stylish and affordable—and timelessly cottage inspired, with turned-leg details, tufting and simple wood detailing. 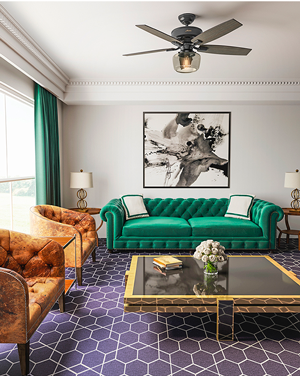 We love the simplified color palette that makes the collection easy to mix with your current room scheme. Free shipping and returns with Amazon Prime if needed is never a bad thing either. 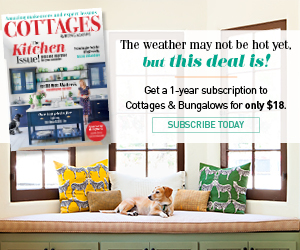 The convenience of outfitting your cottage with beautiful pieces of cottage classics is just a click away. 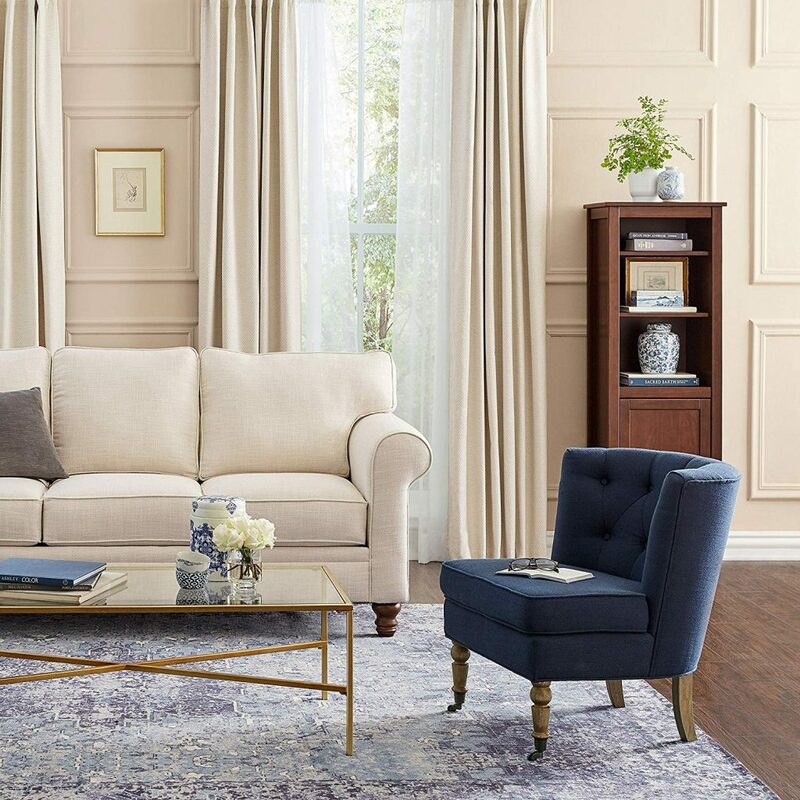 Ravenna Home joins Amazon’s two other new furniture lines, the mid mod design of Rivet to the farmhouse features of Stone & Beam showing a growing trend for the retail giant moving into the home-decor sector as they invest into exclusive furniture lines. Not sure about buying furniture your on Amazon? Sure the site is more known for quick shipping on electronics, toys, books and everyday supplies or hard-find products and bulk savings. But one strength of the site that works in your favor? Customer reviews. Like Yelp, Amazon has amassed a collection and culture of customers who like to review and share their experiences and user photos. These reviewers genuinely want to help others make the right decision before buying. So there’s strength in numbers depending on which way the reviews go. 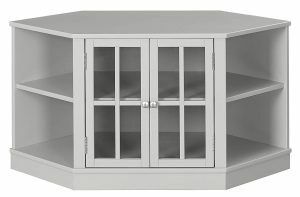 Westly Corner Glass Cabinet Storage Media Stand – Grey, $319. 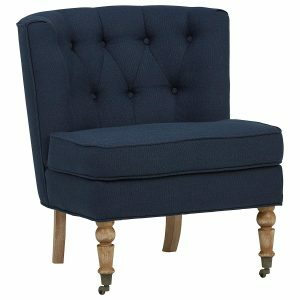 Armless Tufted Turned Wood Leg Accent Chair – Blue, $179. 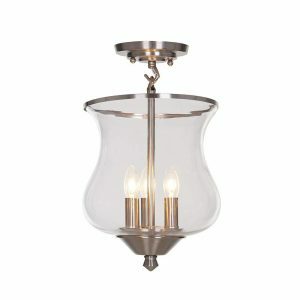 Clear Glass Semi-Flush Mount Pendant – Brushed Nickel, $84. 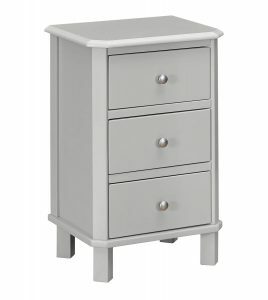 Naomi 3-Drawer Storage End Table – Grey, $119. 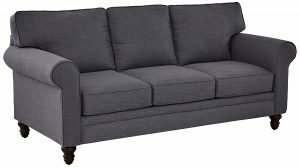 Randall Rolled Arm Sofa – Slate, $849. Follow Cottages & Bungalows on Facebook for updates and new posts!